Ayam Brand has introduced organic virgin coconut oil (VCO) and coconut cooking oil in Malaysia tapping into the growing interest and awareness of the benefits of VCO and coconut oil as a healthy cooking oil. The VCO is certified organic by the European Union and Japan’s JAS. 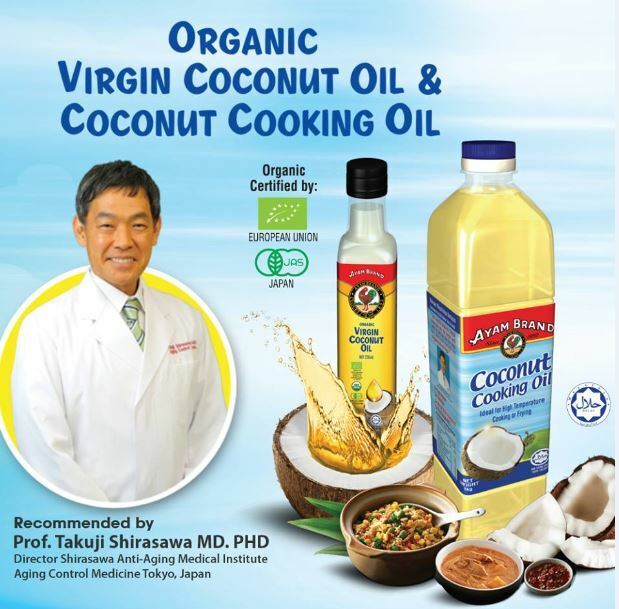 Ayam Brand Coconut Oil is recommended by Prof. Takuji Shirasawa MD. PhD. 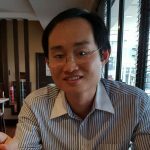 He is the professor is an anti-aging practitioner at Ochanomizu Longevity & Health Clinic, director and researcher at Shirasawa Anti-Aging Medical Institute and Visiting Professor at Dokkyo University. Prof Shirasawa is a prolific author in Japan with more than 230 books published for both the public and the scientific community. His anti-aging books have sold more than three million copies in Japan. The Ayam Brand Coconut Cooking Oil is said to help the digestive system process, provide instant energy and encourage weight management. It has neutral taste, odourless, cholesterol free and has more than 60% medium chain triglycerides (MCT). MCTs are more easily absorbed, metabolised and used for energy than long-chain triglycerides. Malaysians like to consume fried food. The Ayam Brand Coconut Cooking Oil is suitable for normal cooking or frying at high temperature as it has a high smoke point. Ayam Brand Coconut Cooking Oil is sold at Jaya Grocer for a price of RM 20.20 (1L) and RM 10.40 (500G). As a comparison, Medella Coconut Cooking Oil is selling respectively at RM 25 (1L) and RM 33.99 (1.9L) and Koko Nut Coconut Cooking Oil (2L) at RM 41.50. The Ayam Brand Organic VCO is available in 250ml and 500ml. VCO is a crowded market but there is huge potential for coconut cooking oil if companies can encourage consumers to switch to coconut oil such as with a small trial pack as coconut oil is not cheap.